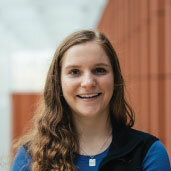 Emily Fisher is a BBA student at the Ross School of Business. She is interested in entrepreneurship and non-profit management. She is passionate about helping others and has found her calling in helping those with chronic illnesses. She currently manages a YouTube channel and Instagram account that chronicles her own illnesses, in hope to bring awareness, and to provide support for those in need. As a +LAB fellow, she hopes to discover how she can further assist people to find happiness. Emily is also a board member of Michigan Yoga Club and enjoys to share her love of yoga with others. She is from the Upper Peninsula of Michigan and enjoys being in nature whenever possible.